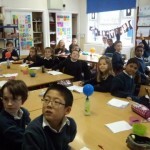 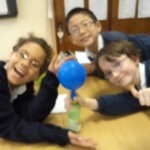 Room 9 were very busy creating gases. 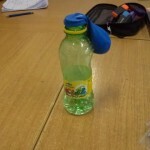 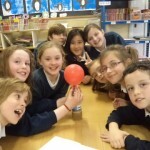 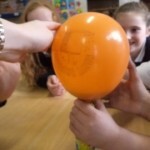 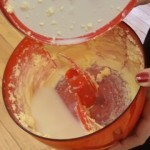 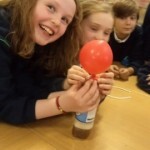 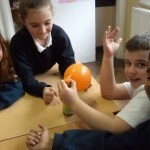 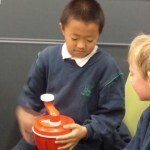 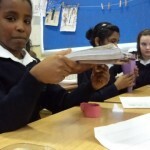 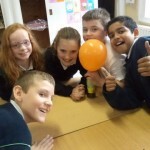 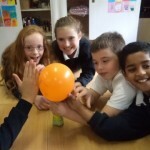 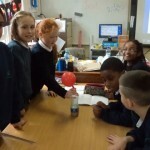 They used vinegar and baking powder create a gas that fills a balloon. 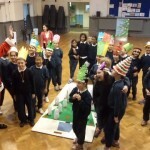 Here are Room 3 at the tree of coins with Santa. 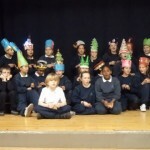 What great crowns are on display! 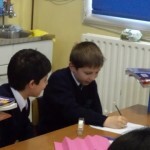 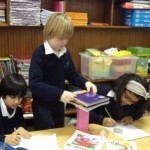 Room 3 completed experiments to show how strong one A4 sheet of sugar paper is! 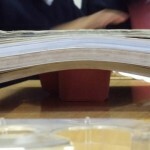 Can you believe that, depending on the way the paper is folded or rolled, it can support the weight of over 1500g. 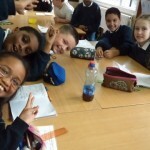 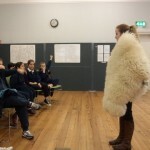 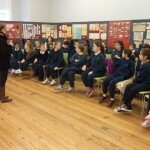 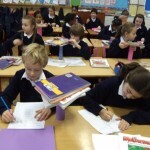 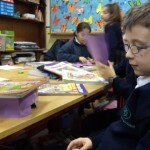 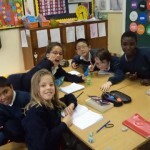 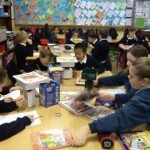 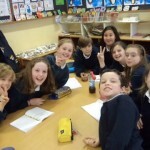 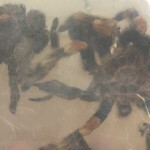 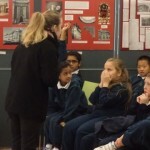 As part of Science Week, the boys and girls in Room 3 were invited to attend a Dublin Zoo workshop on the animal conservation in Rathmines Library. 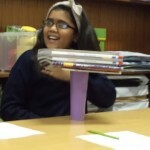 Lisa gave us lots of interesting facts. 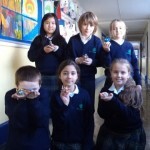 We even learned how to make butter! 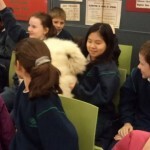 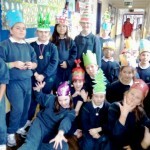 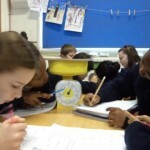 Thanks to Owen, from Rathmines Library for organising it. 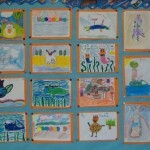 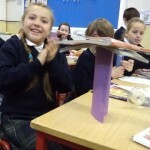 Room 3 – fantastic art work! 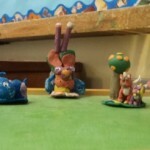 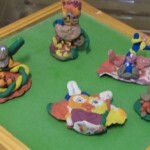 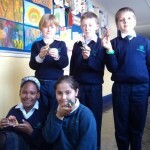 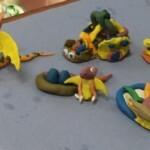 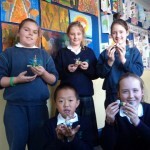 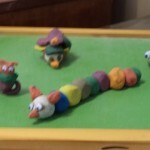 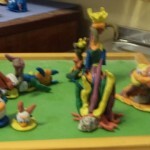 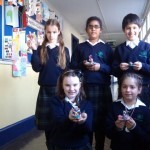 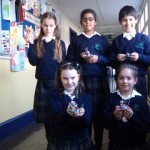 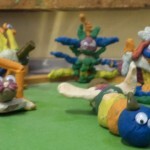 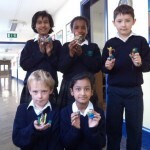 Room 3 created their own animals from plasticine. 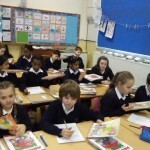 They later drew them using crayons, pencils and markers.